Is learning a new language difficult? That’s what someone said to me the other day. However, I’m also a language learner and I know that learning a language requires time, effort and motivation. Of course I try to make things easier for my students. I look at how they like to learn and find activities that suit their learning styles. If they need reading or listening practice, I try to find things that they will enjoy listening to or reading. But when it comes down to it, they still need to do the work if they want to see an improvement in their language skills. I can also agree that learning a language is easier for some people because they really enjoy or are passionate about the activity. At school, I found subjects like maths harder than languages, so I suppose you could say that some people naturally find it easier, but those people still need to work at developing their skills. I think that part of the problem is that we are offered so many things now to make life easier. You see it in the small business forums too. “I used to work really hard. Now I work an hour a day and sit on a beach sipping cocktails, You can enjoy this lifestyle too if you sign up for my really expensive course to fund my next beach party…” Marvellous! But in most cases, life isn’t like that. We do have to do the work if we want to see results. Even the boring stuff unless we take on staff to do it for us. 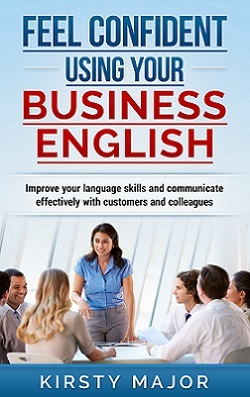 We have to put in the hours and the effort when running a business, and learning a language is the same. There are definitely things that we can do to make things faster, better or more enjoyable, but sometimes you need to do the more challenging or boring tasks if you really want to meet your next language goal. I believe in making things easier, finding learning techniques that work, making the process more efficient, but I don’t make promises like “speak like a native speaker and only spend a minute a day on your English!” That just doesn’t work! Yes, you can find activities to do in a spare few minutes, and one minute a day is better than nothing at all, but if you don’t make time to learn, or work on your language skills, they’re not going to miraculously improve on their own. So, I definitely believe there are things we can do to make the language learning experience easier, more enjoyable and more effective, but there may be times when you’ll struggle with a text or grammar rule, when you’ll feel nervous about speaking, or have to listen to something several times in order to understand it. However, I can say it will be worth it if you persevere and don’t give up! Also, saying that something is difficult is not a good reason or excuse not to do it!